Eugene J. Johnson, What Remains of Man--Aldo Rossi's Modena Cemetery (Journal of the Society of Architectural Historians, March 1982). Alfred Frazer on, Das Gartenstadion in der Villa Hadriana (Journal of the Society of Architectural Historians, March 1982). Pierre de la Ruffinière du Prey on, A.D. Profile 23: Neo-Classicism (Journal of the Society of Architectural Historians, March 1982). Peter Eisenman, et al, Oppositions 24 (Cambridge, MA: The MIT Press, 1982). Peter Eisenman, et al, Oppositions 25 (Cambridge, MA: The MIT Press, 1982). Pierluigi Nicolin, 33 Lotus International (Milan: Gruppo Editoriale Electa, 1982). Pierluigi Nicolin, 35 Lotus International (Milan: Gruppo Editoriale Electa, 1982). Leon Krier, Pliny's Villa Laurentum (virtual realm, 1982). This villa is not a closed world, it is not a monastery, or a royal palace. It is an ensemble of buildings which serve very diverse functions; sometimes strictly private, sometimes very public. There appearance, their scale and their construction necessarily reflect their respective heirarchies. Through his text, Pliny encouraged me to conceive his villa as a great number of separate buildings. This villa-ge does not have to ward off pirates. That is the reason why only the sun, the wind, the great perspectives and the sea dictate the disposition -- sometimes open, sometimes closed -- of the ensemble. Leon Krier, "Leon Krier - Houses, Palaces, Cities" in Architectural Design 54 (London: Architectural Design, 1979). [K]rier has taken on the large-scale reconstruction of the European city as a critical project. 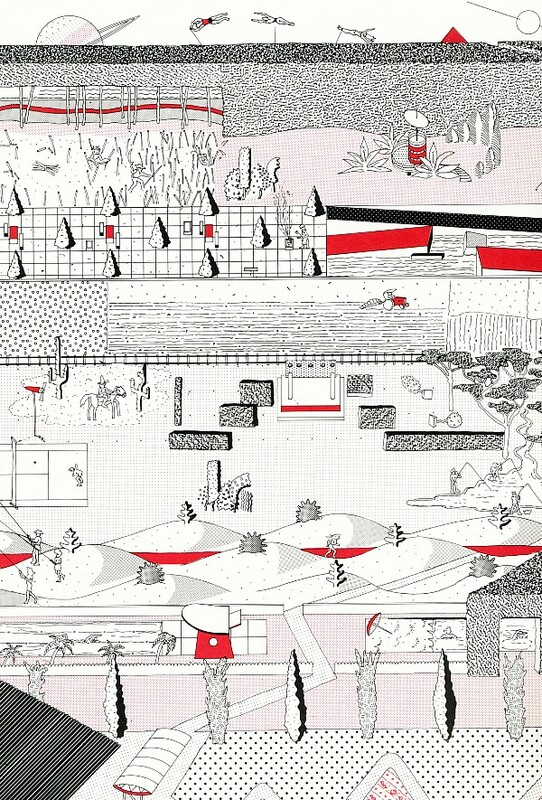 In fact, he has argued forcefully that the unbuilt project is the most responsible way to engage architectural thinking given the current socio-economic conditions: "architectural reflection can at this precise moment only be undertaken through the practical exercise in the form of a critique or in the form of a critical project." The possibility for utopian, visionary work remains open in his opinion, and is required by the degradation of contemporary urbanism. Kate Nesbitt (ed. ), "Introduction" in Theorizing a New Agenda for Architecture (New York, Princeton Architectural Press, 1996), p.56. With the turn of the century close at hand, it is safe to say that Leon Krier will very likely remain the 20th century's foremost "virtual" architect. Largely through drawings alone, he has managed to bring into being a world of architecture that is familiar in form, yet paradoxically foreign in concept to the modern psyche. Krier's "critical projects" are always well appreciated for the dexterity of their graphic execution. Likewise, they are happily imagined, but they are destined to remain in the imagination, thus existing forever in the domain of virtuality. Frank O. Gehry, Tract House (1982). OMA, Parc de La Villette (Paris, 1982).